Do you have any memories of watching parades? I remember marveling at the colors and the sounds of the electric light parade at Disney World. I remember sitting near the television on Thanksgiving morning, wondering what new gigantic balloons would appear on the Macy’s parade. I remember enjoying a BBQ with friends at First Church Orlando while we watched the Citrus Bowl parade move through downtown. 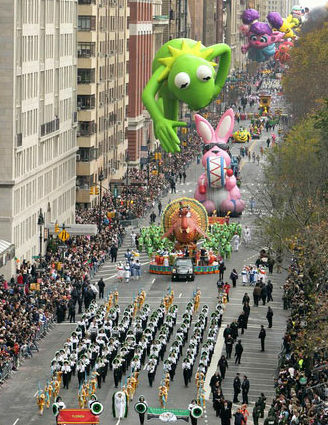 Why did these parades happen? I think my answer would have been fun, entertainment, or celebration. I had never thought of parades as controversial until I came to Northern Ireland. In the summer here, there are dozens of parades across the country that have ingrained political meaning. In early June, I was on my way to a session of the Methodist Annual Conference, when I saw the police blocking the road. I realized that a band parade was about to move through the center of the town, the same direction that I was heading. Rather than wait for a half hour, I decided to park along the road and walk with the parade for the last mile of my journey. A quality silver band led the way, and I was enjoying the various tunes they were playing as I wove my way in between the people watching on the road. 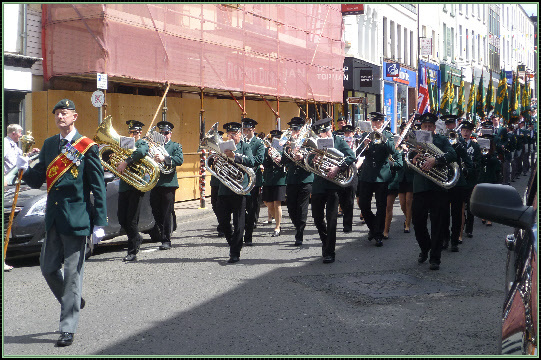 Behind the band were hundreds of people marching in green uniforms, part of the Ulster Defense Regiment Association (UDR). This group was commissioned as a reserve force of the British Army during the Troubles. They defended. They secured areas. They were controversial, as some of them passed weapons and information to Protestant paramilitary groups. They suffered, as nearly 200 of them were killed during the Troubles. They were 97% Protestant. What does this song mean to me? It reminds me that there is brokenness, pain and violence in this world. In both obvious and subtle ways, we are all participants in this violence. None of us can say that our hands are clean. And yet God’s amazing love comes to us in Jesus – even though it meant that God would be vulnerable and would be hurt. I was moved by hearing this song as I approached a meeting of worship. I was also troubled by hearing it played as a military group marched through the town. Something didn’t seem quite right. Then it hit me – “And can it be” is a hymn that belongs with a mood of repentance and humility and the attitudes of marching season do not match with the hymn. A couple of weeks ago, I preached a sermon on the beginning of Ephesians 4. The letter says to “lead a life worthy of the calling”. In order to do this, we are to be humble, gentle, and patient, bearing with one another in love, so that there might be unity of the Spirit. Well, I never expected a parade to lead me on reflections about God’s love and our call to be humble and patient. Yes, parades sure are different here! Great hymn,,,great story. Know that you are in our thoughts. Britt and Alison, we are so looking forward to seeing you in November for the Skainos dedication. Gary has asked me to preach for it. We will be there for a week, so let’s make sure we get some pub time–especially for Alison and me! Prayers are with and around you all in these days Pastor Britt and Alison and the wee ones too. Has the office moved yet? Are the two of you back Home?? I have enjoyed talking about our trip to EBM and N. Ireland to the United Methodist Women of MN and will talk to many local units and at Church Women United also. Gods blessings as you move in to the Skainos bldg. Let us know how you are coming!